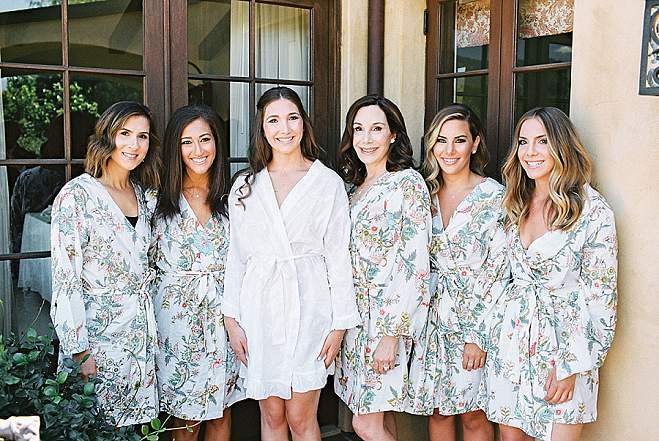 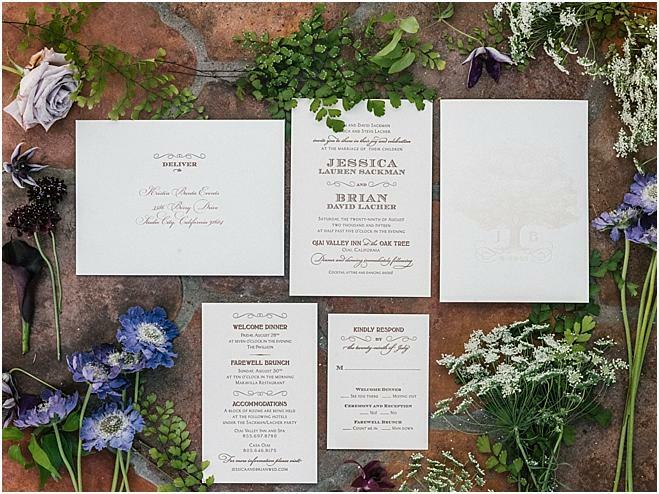 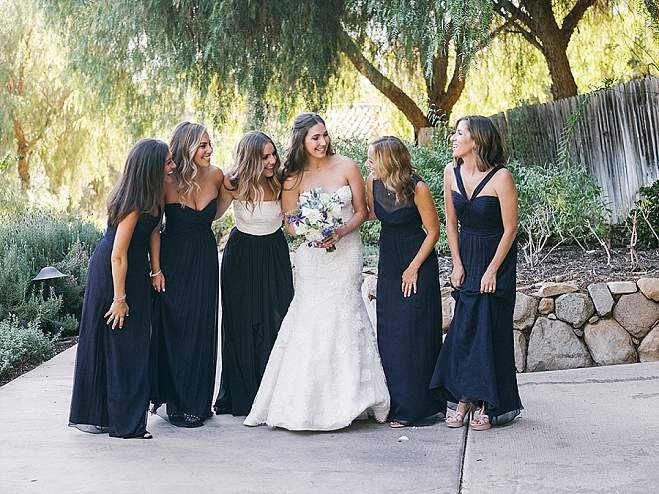 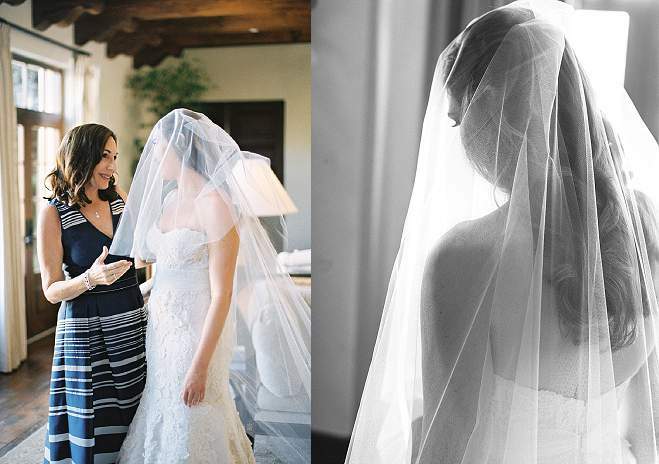 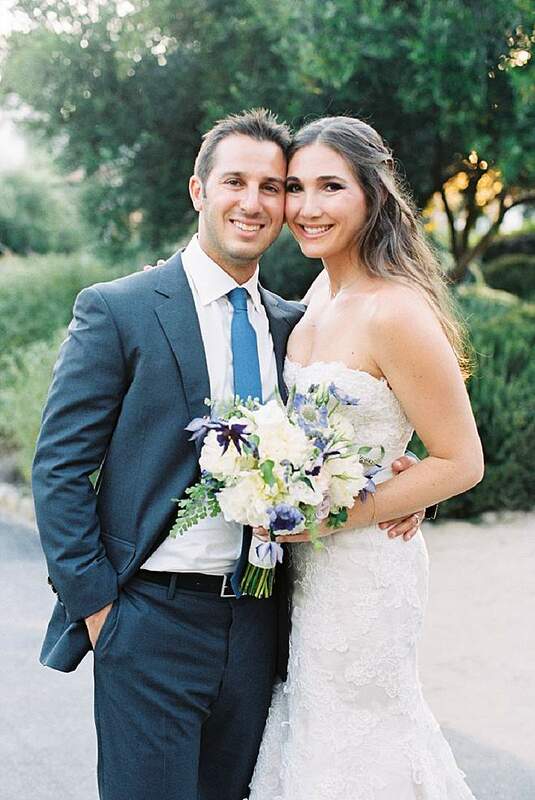 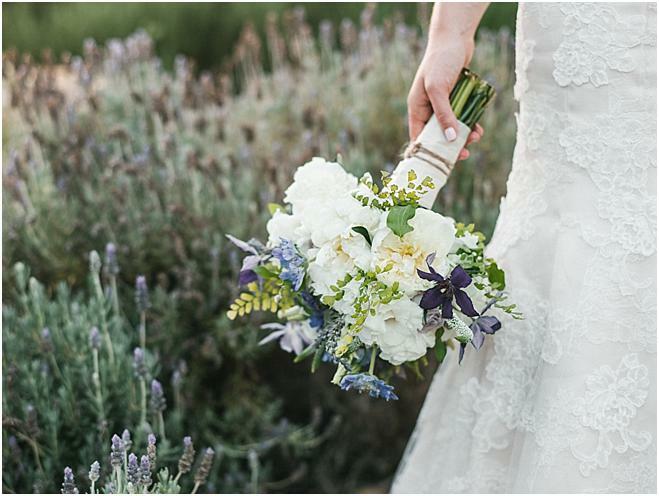 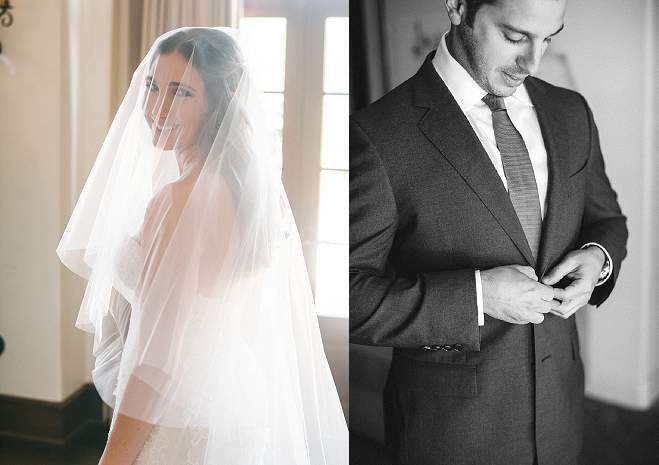 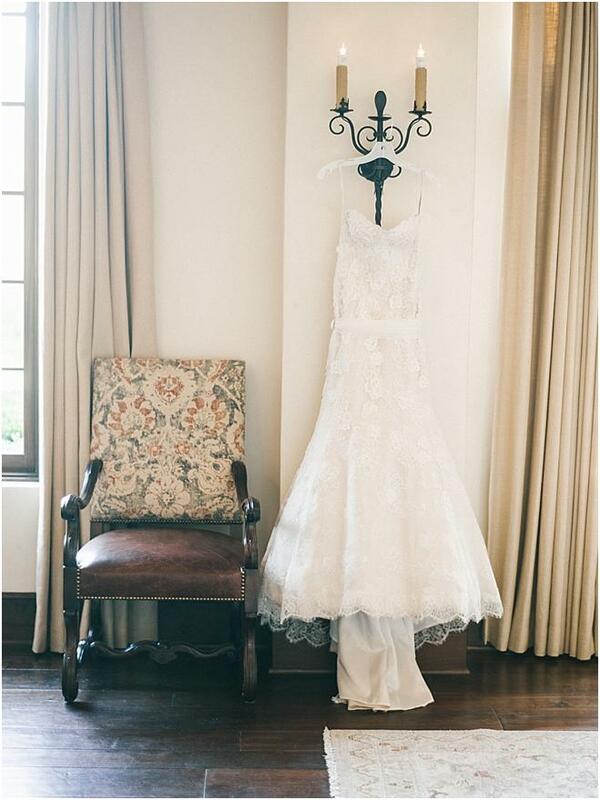 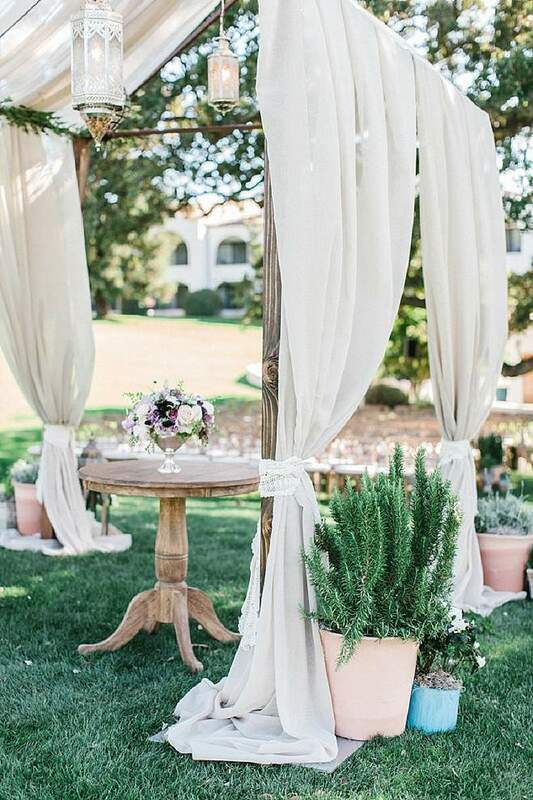 Fresh lavenders, blushes, blues, and greens created the perfect spring palette for Jessica and Brian's wedding at Ojai Valley Inn and Spa. 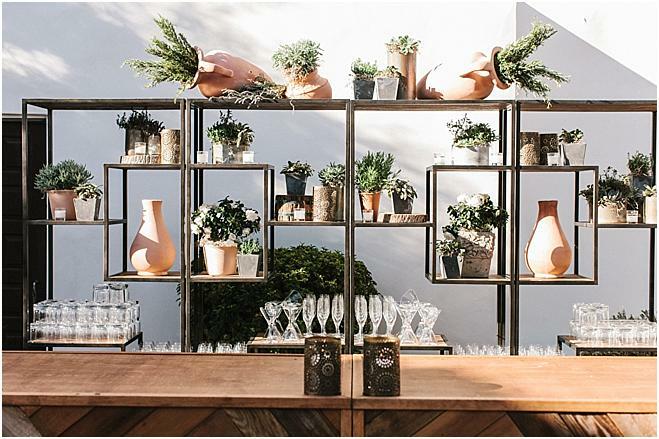 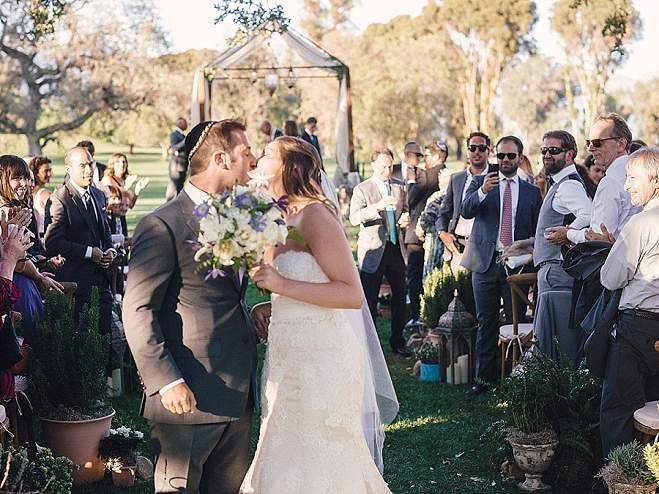 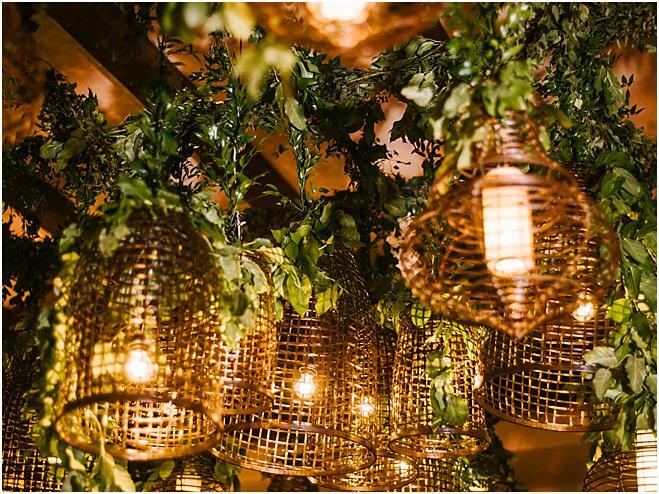 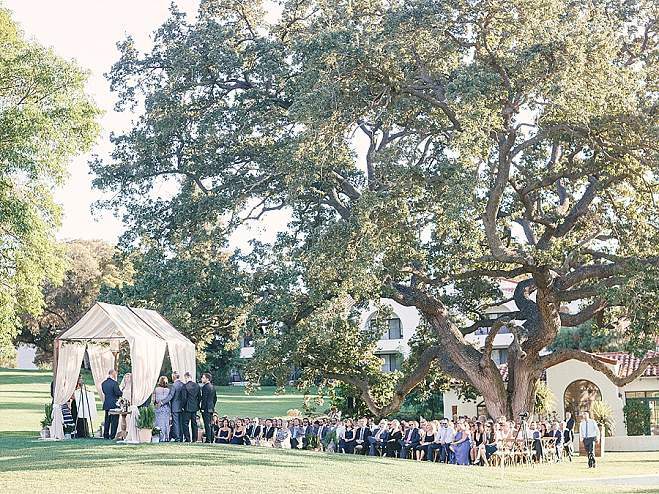 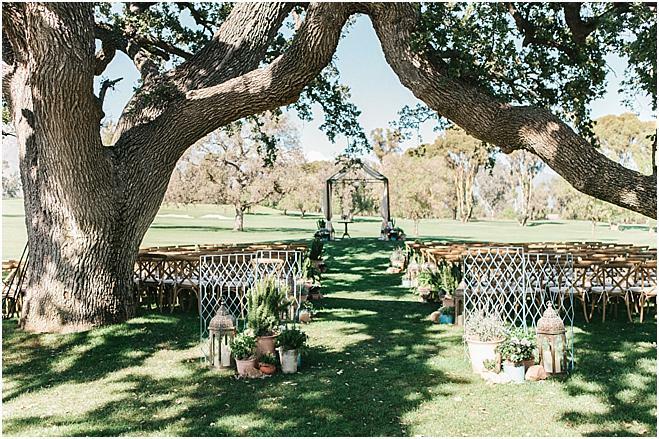 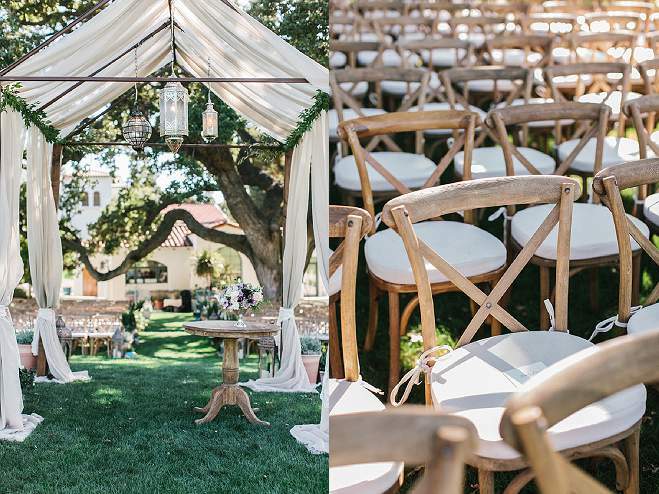 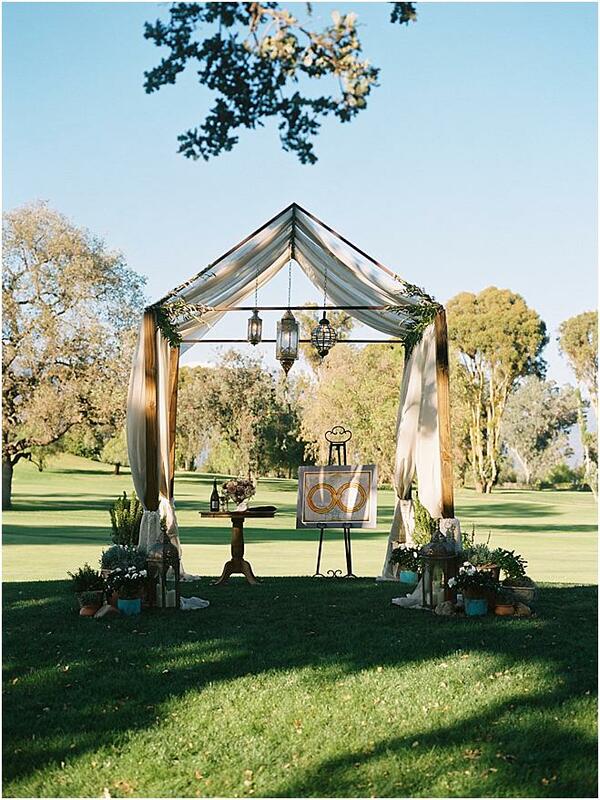 The beautiful outdoor ceremony boasted an abundance of greenery and chic decor, including potted flowers and plants and metallic bohemian lanterns. 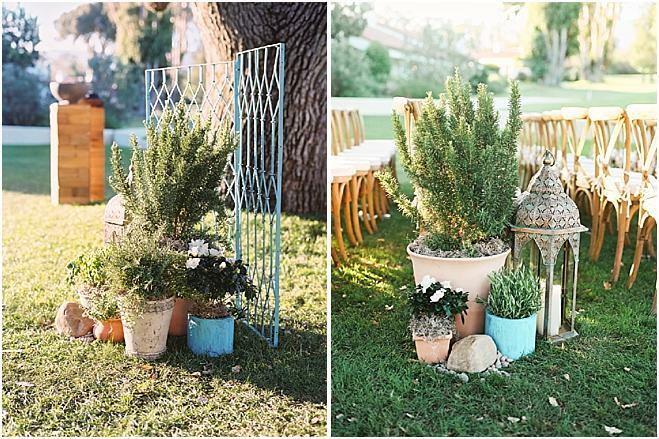 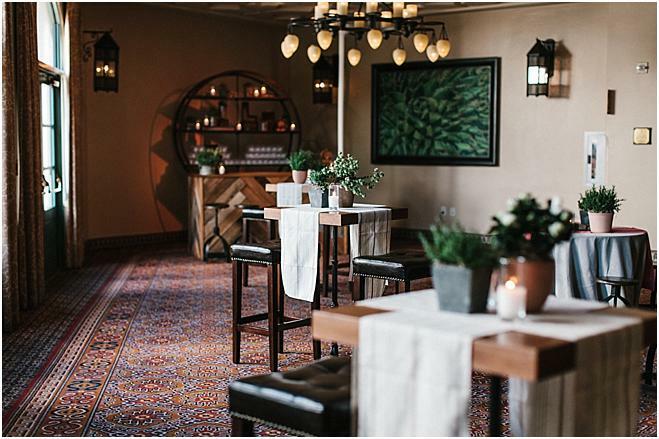 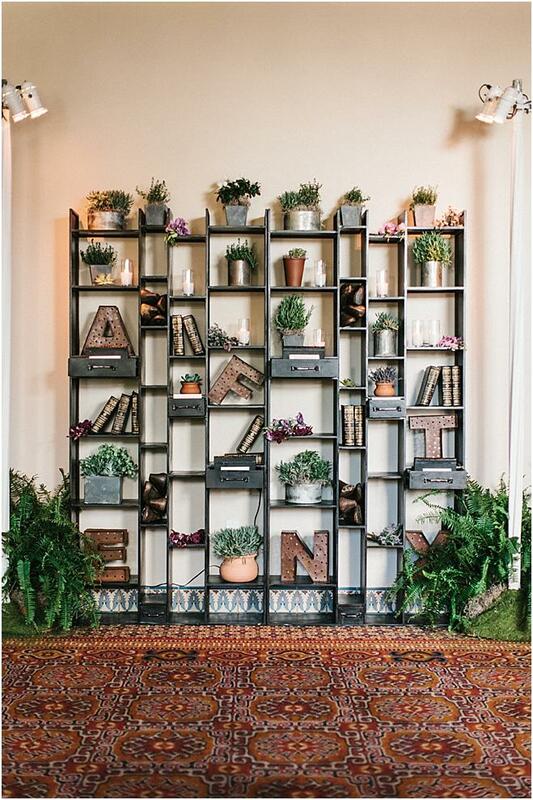 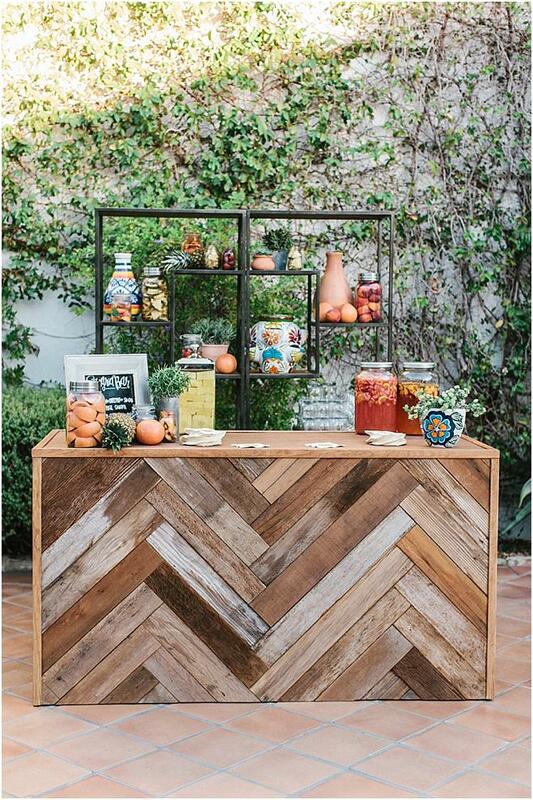 Hints of teal and terracotta added a desert vibe, fitting for the Spanish style architecture and details of the venue. 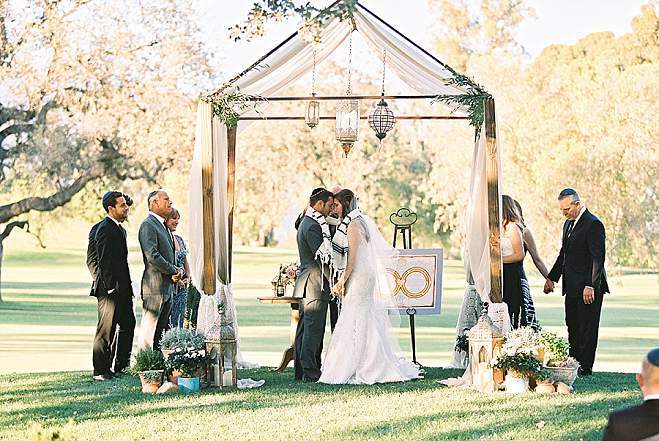 The romantic huppah flaunted airy cream linens and greenery and lanterns hung from above, creating an intimate and stylish setting for the couple's ceremony. 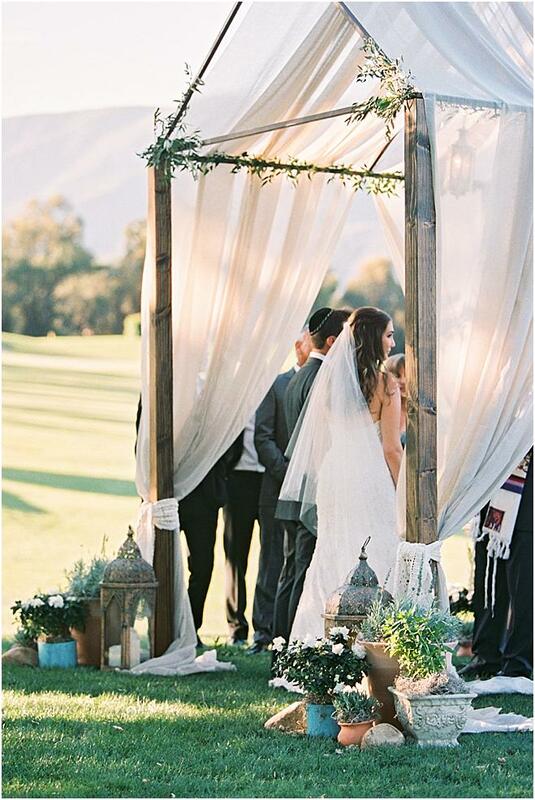 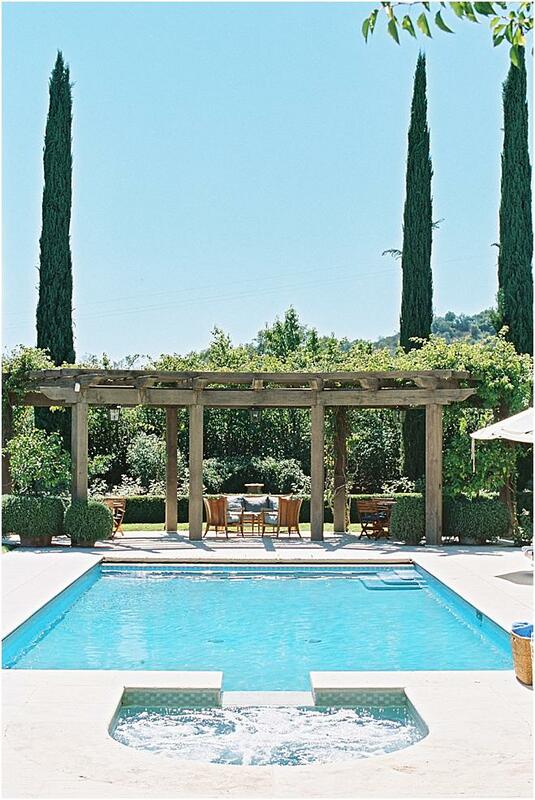 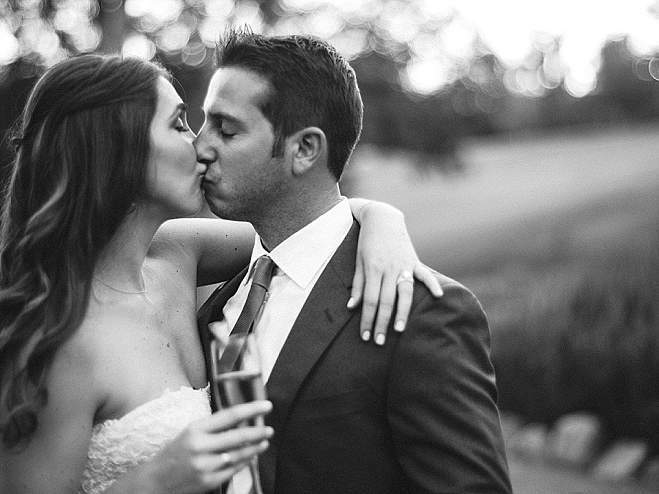 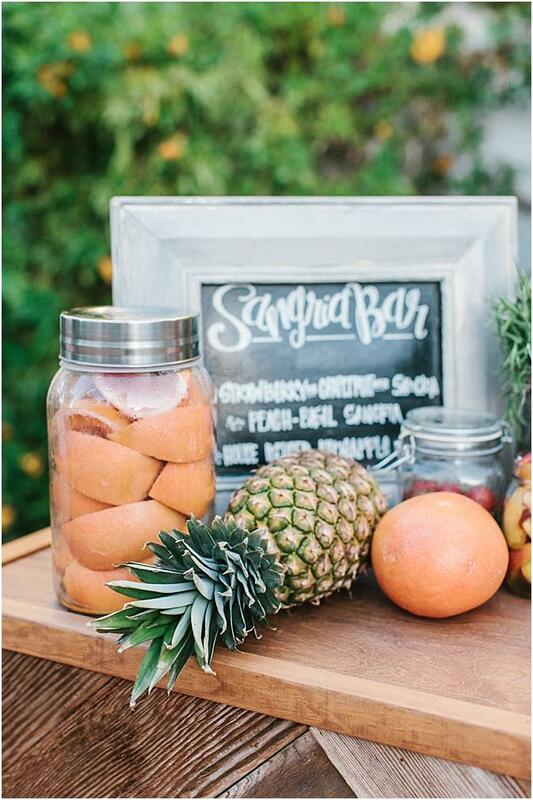 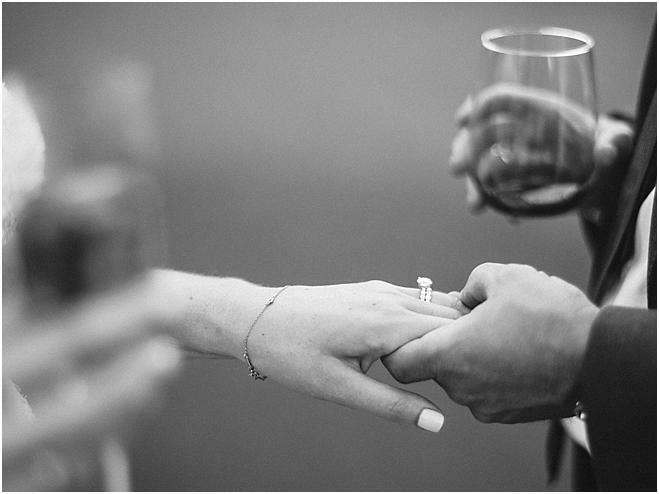 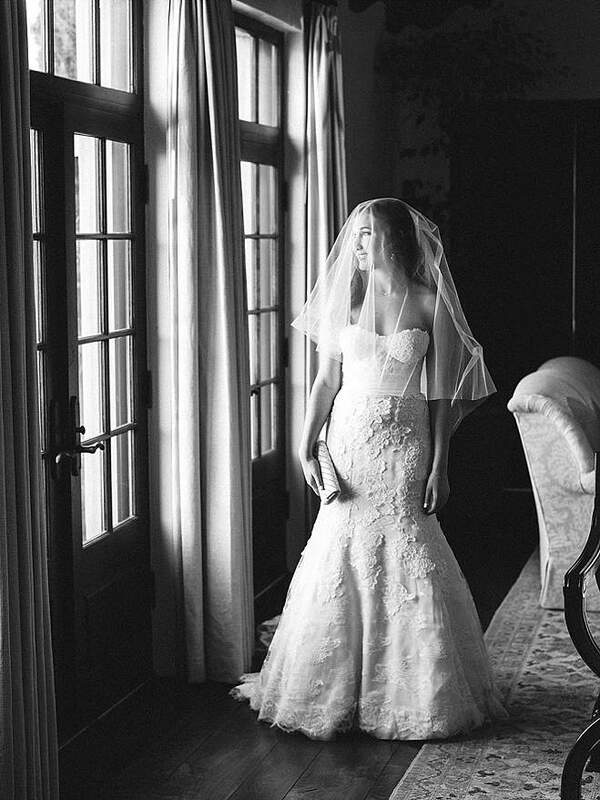 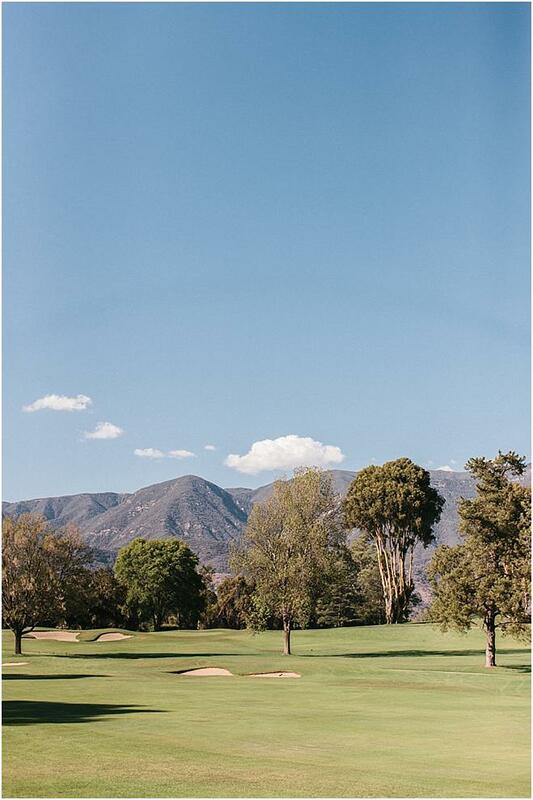 With mountain views and natural accents, the outdoor venue provided comfort for each and every guest. 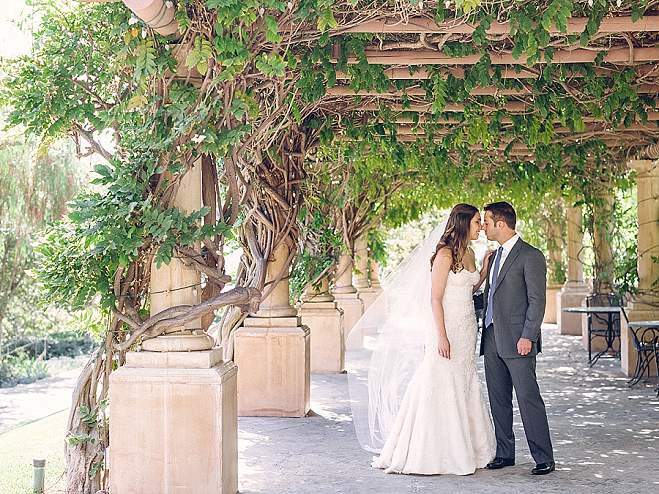 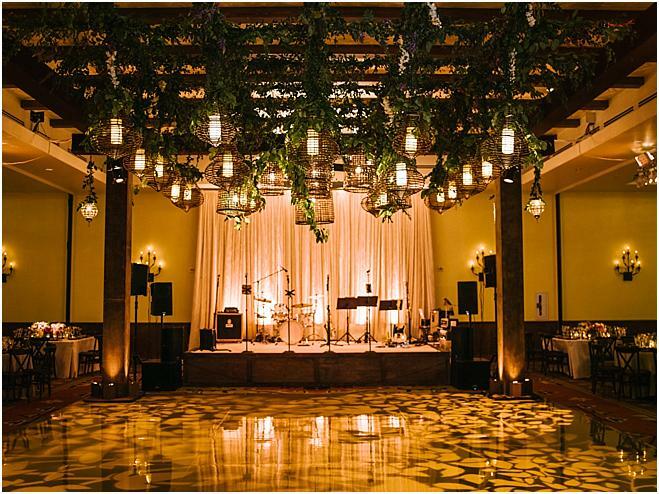 Encompassing the couple's desire for an outdoor garden space as well as a ballroom feel, designer Kristin Banta Events and florist R Jack Balthazar created an indoor pergola for the space, donned in overgrown vines and metallic lanterns, a certainly unique and amazing extension of the ceremony decor. 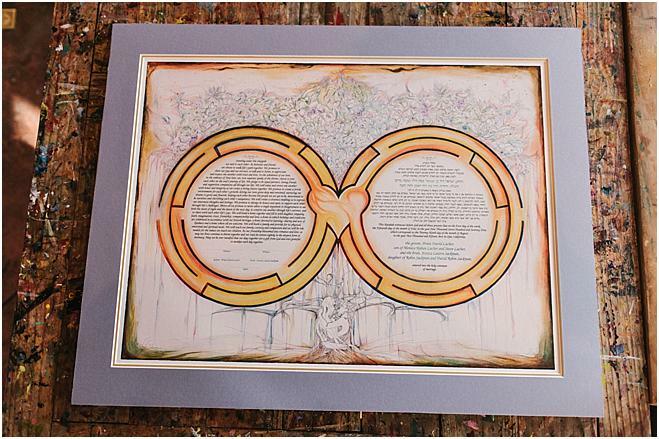 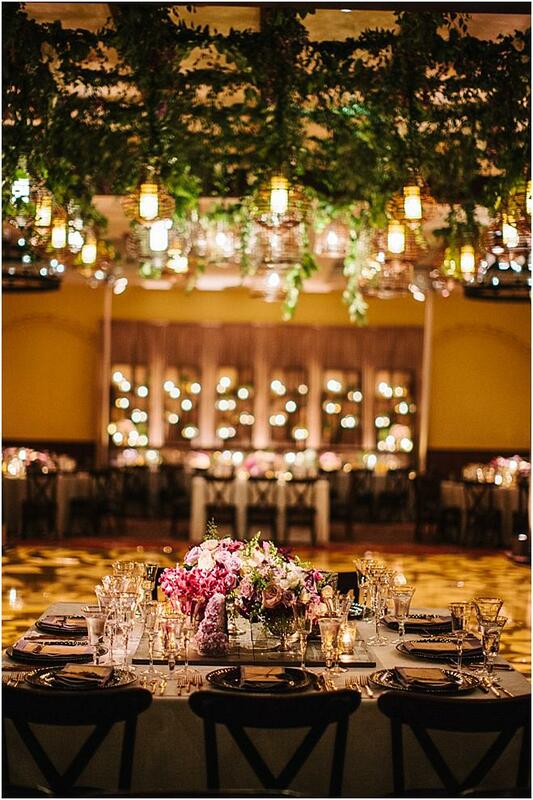 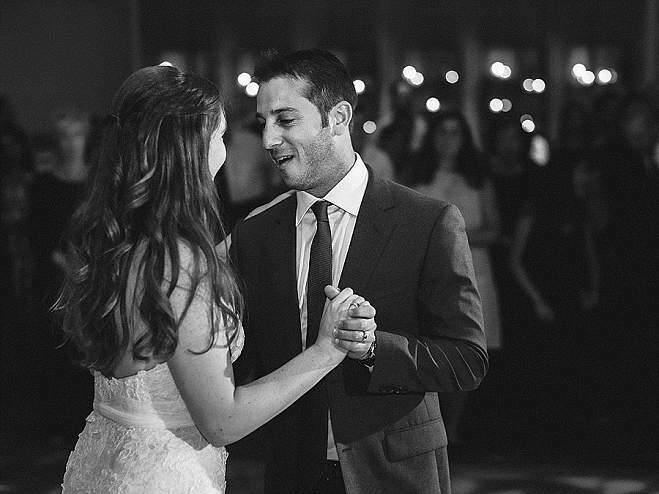 While the pergola defined the dance floor, guests were seated at tables with to-die-for elegant place settings. 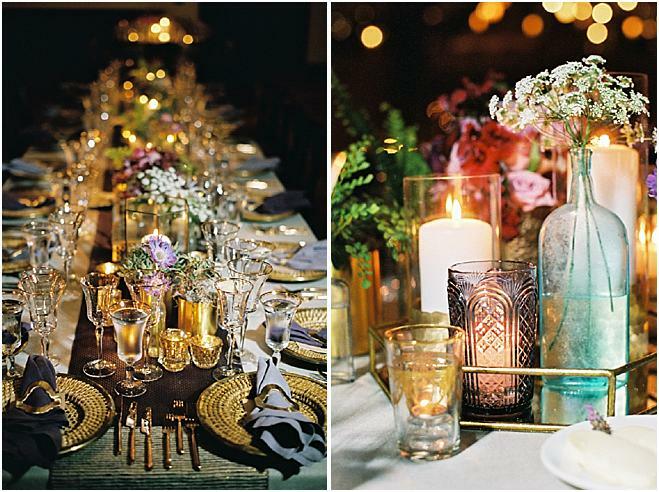 Vintage chic napkins tied with twine and a lavender sprig added a dainty detail, contrasting the bold table decor. 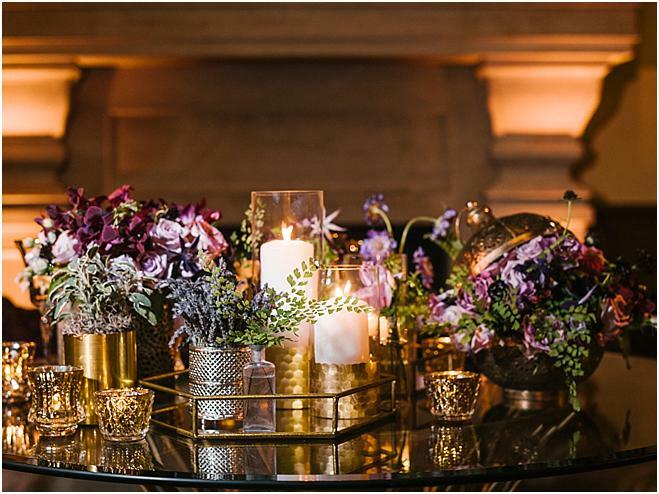 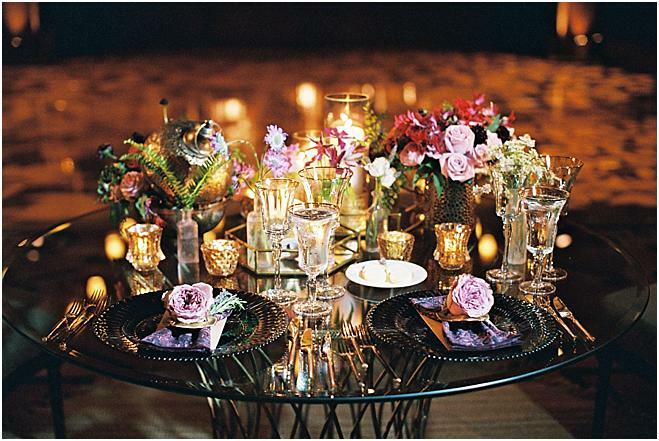 Rattan chargers, gold flatware and various styles of purple napkins were accompanied by one-of-a-kind centerpieces that included an array of florals, greenery, glassware, amethyst stones and candles to create a romantic ambiance. 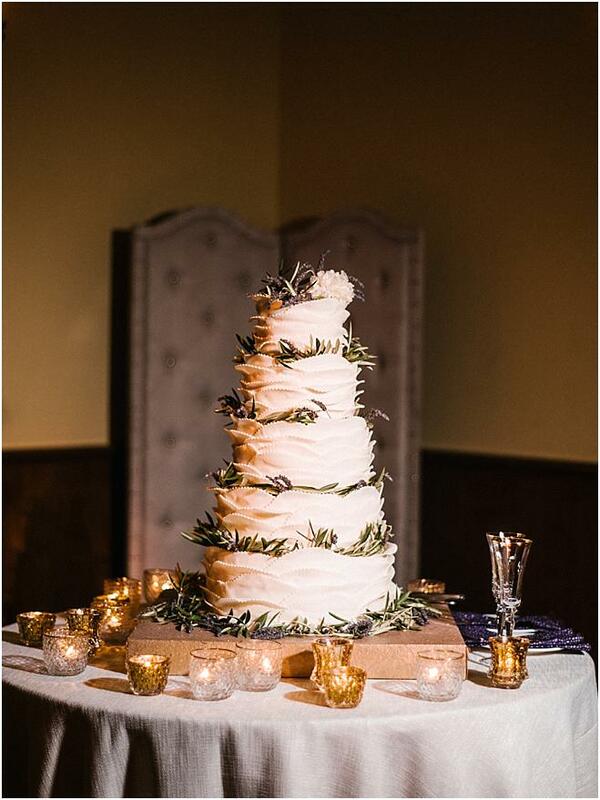 The five-tiered cake showcased texturized layers and lavender accents, with an ivory flower to top. 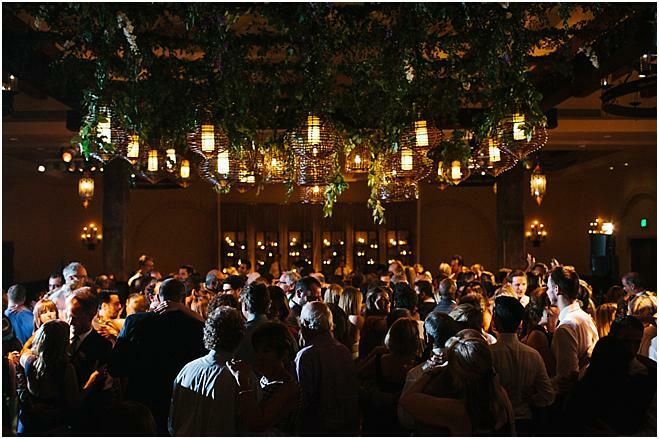 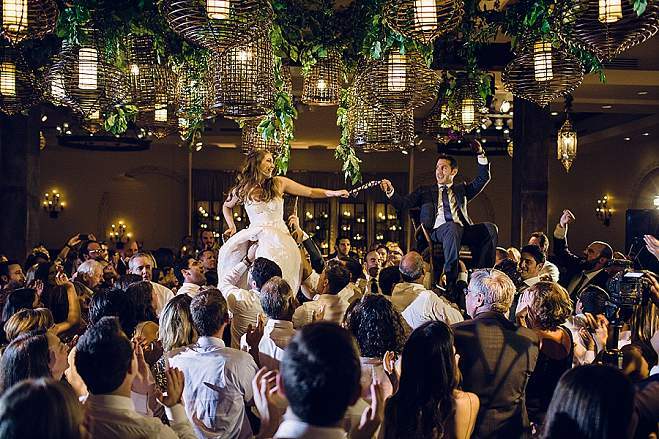 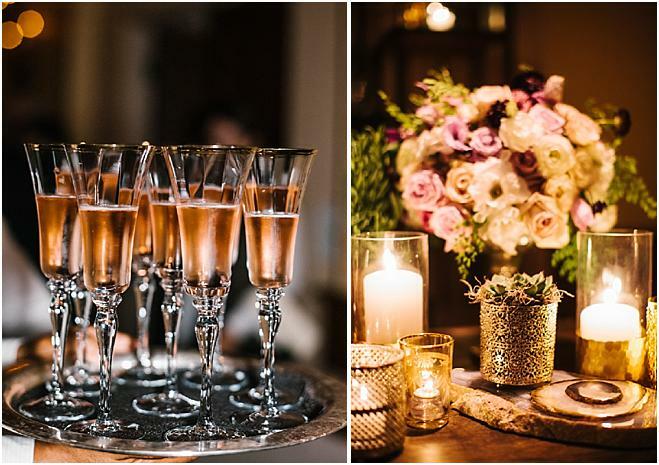 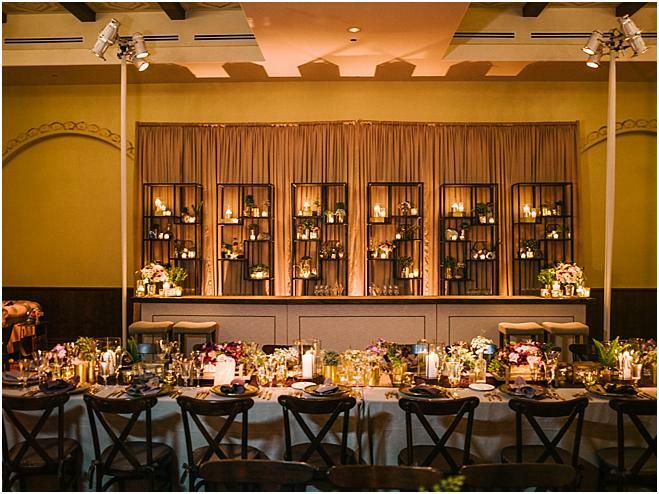 A wide bar perfectly embellished with wood, iron and florals and a stage flanked opposite sides of the ballroom. 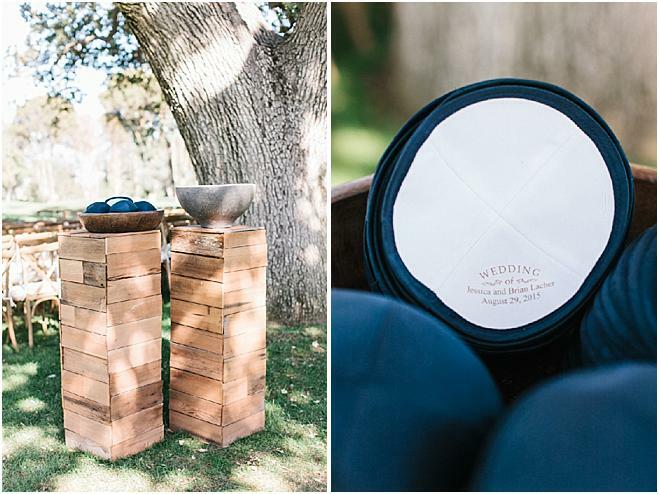 Treats of all kinds, including soft pretzels, burgers and popcorn was served as everyone celebrated Jessica and Brian's marriage.